In early 2010, progressive Norwegian quintet, Shining, released Blackjazz. Though it’s likely to be regarded later as a monumental niche or cult release, Blackjazz holds true a level or mastery consistent with the better-known classics of this ilk, namely Fragile by Yes, The Inner Mounting Flame by Mahavishnu Orchestra or (appropriately as they provide Shining their only cover song) In The Court Of The Crimson King by King Crimson. The swirling industrial tones, the honking saxophone, the unpredictability of time changes and unrelenting percussive battery are absolutely mesmerizing, Shining’s attention to detail suffering no expense under the weight of their audible might. Blackjazz is truly an energized and scarily composed listen. 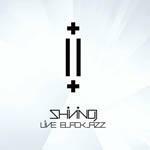 Shining’s new live album and concert film, Live Blackjazz, leaves little to ponder in terms of what they’re performing. This is the live translation of Blackjazz, authenticating the band’s abilities and heightening the music’s severity before the mass of individuals who were lucky enough to attend. Live albums are, at times, a tough sell. Throughout music industry history, the live recording has either served as a band’s milestone (MC5’s Kick Out The Jams, Frank Zappa & The Mothers’ Roxy & Elsewhere, The Who’s Live At Leeds) or as a way to squeeze a dollar out of its audience in exchange for mediocre results (Led Zeppelin’s The Song Remains The Same, Steal Your Face by The Grateful Dead), a small gimme served in between studio releases that can both capitalize on a band’s popularity and appease the fans. Yes, they’re meant to be demonstrative of a band’s performance capabilities, but they’re also a way for bands to keep up with demand, allowing ample time for songwriting and conceptualization of new material to commence and make some money in the meantime. Being that Live Blackjazz documents material that’s been in circulation for two years now, it’s easy and cynical to point out that Shining hasn’t had any new music to boast since Blackjazz. So, that being the case, why rehash old material? Despite this, and whatever function live releases serve, these albums also capture bands at their most effective, forever encapsulated in a time and place. In the case of Live Blackjazz, Shining manages to heighten the intensity of Blackjazz, (and songs from other albums), their performance a testament to precision, their stage presence difficult to deny. Dio horns slice through the air as lights shine upon the crowd. Hearing and seeing Live Blackjazz is essentially coming to the realization that all of Shining’s albums should be recorded this way. As great as their studio albums are, (if you’ve not heard Grindstone, please find a copy), you know a good band when it can magnify itself in a venue and when its members can not only honor the music you’ve come to respect, but improve it. Watching their footage, singer/guitarist/saxophonist Jørgen Munkeby leads his band in and out of chaos effortlessly, transitioning from the wild Albert Ayler-infused The Red Room into a free form metal jumbling like Omen. The band misses no cue, no note. Everything down to Munkeby’s saxophone solo during Fisheye is perfect. They perform a rendition of Exit Sun that could scorch ones skin and their thoroughly broken cover of King Crimson’s 21st Century Schizoid Man is some absurd mix of pure admiration and jagged perversion. If I have one complaint about Live Blackjazz, it’s that the CD isn’t a direct lift from the film. Not to diminish its quality, (the audio component still sounds great), but the concert’s length necessitated editing, so the CD doesn’t carry some of the film’s more ridiculous song transitions. Omen doesn’t even make the cut and the encore, a twenty minute droning jazz fusion track that pairs the more dominant aspects of both SunnO))) and Joe Zawinul called RMGDN, could be on its own disc. The performance, though, is nothing short of exciting. The engineering and recording is flawless. The film? Wonderfully cut and rendered. Professionally and creatively, Live Blackjazz delivers one of the best concert recordings I’ve ever seen or viewed, a masterpiece in its own right. This one is a milestone.